Hello dancers! Here’s hoping that you had a wonderful Thanksgiving. We are now officially in the midst of the holiday season, a time when we plan dinners and parties for friends and family and, therefore, also a time when good music is a must. We have listed some lovely new music below, which we think will be perfect for your holiday celebrations, be it on a dance floor or as background to your dinners. Enjoy! 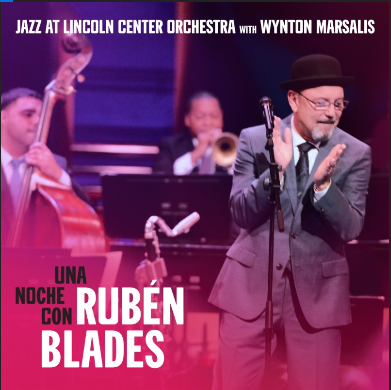 The Lincoln Center Orchestra musicians are outstanding professionals, and added to their talent are special guests that we recognize from our Salsa world, such as Eddie Rosado, Bobby Allende, Marc Quinones, Carlos Padron, and Seneca Black. While you may already know the songs, these arrangements, done mostly by bassist Carlos Henriquez, include outstanding solos by the likes of Wynton Marsalis (trumpet), Chris Crenshaw (trombone), and the invited guest musicians. They truly are renditions that you should listen to! The album is now available on all streaming platforms and can be purchased on Amazon.com. The music on this release is both for the dance floor and your dinner parties. It will not disappoint! 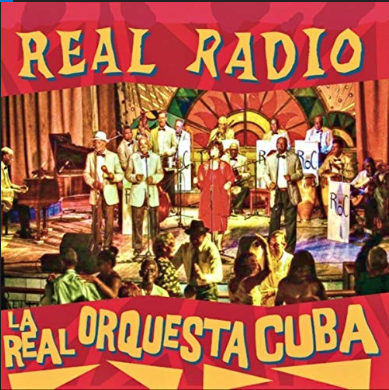 Experienced musicians from the Santiago region of Cuba got together to create this debut album as The Real Orquesta Cuba. The music was recorded in the island and finalized in California. When we say “experienced musicians,” we mean it. These are artists now retired from significant Cuban bands of the likes of Eliades Ochoa and Compay Segundo. The composers are mostly from the eastern part of Cuba, and here offer us 11 tracks, including an anonymous changui (traditional genre from the area) entitled “Solito.” You also also expect outstanding arrangements of boleros like “Lagrimas Negras” and “Bodas de Oro.” Our favorites are “El Platanal De Bartolo,” a Cuban classic perfect for the dance floor, and a new rendition of “Chan Chan” that you will want to have in your playlists. 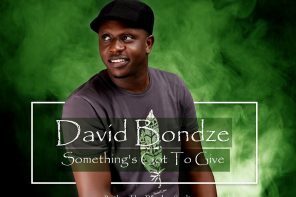 This music is available on all streaming platforms and available for purchase on Amazon.com. 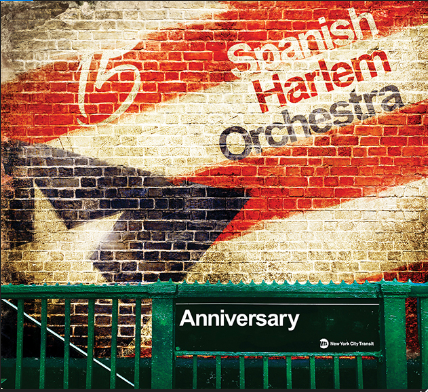 If you haven’t yet listened to the Spanish Harlem Orchestra’s latest album ANNIVERSARY, this is a perfect time. The album would make for a great Christmas present to your Salsero/a friends. 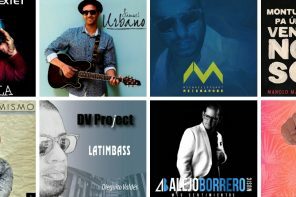 The band’s sixth release, it came in celebration of its 15th anniversary and, as we have come to expect from the group, the music is full of energy; salsa dura, ready to make you move. We couldn’t find it on Spotify, but it’s ready for purchase, without samples, on Amazon.com. I guess you’ll have to trust us that it’s good until you hear it. But have we ever lied to you?! Nah! Salsa from Russia anybody? 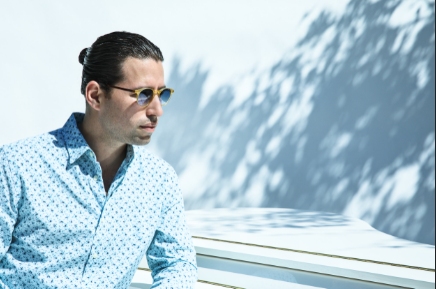 Trumpet player Ilia Chkolnik, whose stage name is “Romantico,” debuts with AMOR DESDE LEJOS, featuring vocalist Mariia Tsvetkova. The music was recorded in Switzerland and Russia, with lyrics that celebrate love, mothers, and a song perfect for the season that welcomes the New Year. 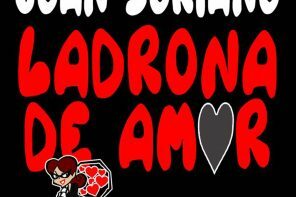 There are six songs in this release, starting with “Estoy Tarde,” a salsa with a romantic beat delivered in the voices of Tsvetkova and Chkolnik. There’s also a cha-cha, and our favorite, “Nuevo Año,” a salsa that should definitely help you welcome 2019 on the dance floor. The album is on all streaming platforms (although, honestly, it’s a bit hard to find on Spotify), and it’s also available for purchase on CDBaby.com. A combination of Salsa and Electronic music, say what? 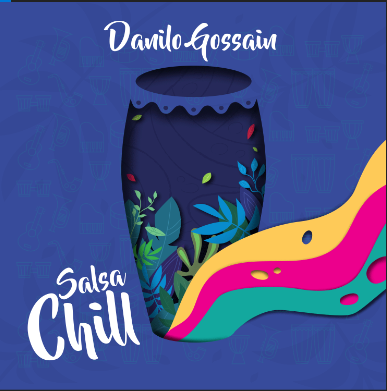 That’s what Colombian percussionist and arranger Danilo Gossain presents in his debut album entitled SALSA CHILL. Chill as in Chillout, the mellow, mid-tempo, electronic music that often sounds a bit hypnotic (like what you’ll hear in “Over the Clouds”). This album was recorded in Colombia, the U.S., and Venezuela, with four original songs, plus an arrangement of the John Lennon and Paul McCartney’s famous “Come Together,” in which Haitian singer Natalia Jean participates. It’s definitely an interesting album, a sound that you probably have not heard before. SALSA CHILL is available on streaming platforms, including on Amazon.com. If you want soft music perfect for your holiday dinners, consider Cuban pianist Alfredo Rodriguez’s album – THE LITTLE DREAM. THE LITTLE DREAM is available on streaming platforms and for purchase on Amazon.com. You may also plan to see him perform live, as he is currently (and through May 2019) on tour. We’re listing the upcoming dates below. 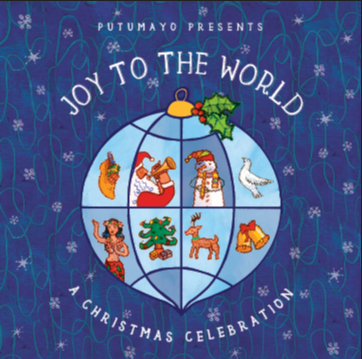 An album dedicated to the holiday season, JOY TO THE WORLD was released by Putumayo on Nov. 16, 2018. This work takes you on a world tour with unique interpretations of Christmas favorites as well as original songs. With artists from Jamaica, Burkina Faso, Brazil, Italy, Portugal and more, it will give a multicultural perspective to your holiday celebrations. The Christmas journey continues with our favorite, Jamaican roots reggae trio The Mighty Diamonds’ island style recording of “Frosty the Snowman,” which will have your feet tapping. The release wraps up with the laidback Hawaiian-influenced “Christmas Island” by Leon Redbone. This lovely holiday album is available for purchase on Amazon.com. That should definitely cover your music needs for your holiday parties and dinners. We wish you a happy holiday season, whatever your preferences and your location may be. If there’s something that truly unites people, it is music and dance. So receive from us the warmest of holiday greetings. We will “see you” again close to the New Year with new songs, because 2019 must be started properly… on the dance floor.